The son of a farmer, O. Gene Gabbard was born in Sand Gap, Kentucky . He received a Bachelor of Science in Electrical Engineering from UK in 1961. Mr. Gabbard also holds a Master of Science in Electrical Engineering from the University of Pennsylvania . He was a member of Eta Kappa Nu, Tau Beta Pi, Scabbard and Blade honor societies. He was also active with the American Institute of Electrical Engineers, Institute of Radio Engineers, Kentucky Engineer, Engineering Student Council and was a resident advisor at Haggin Hall. Telecommunications legend and entrepreneur, Mr. Gabbard has compiled a distinguished record of professional accomplishments. He launched his career with RCA in Princeton, New Jersey, in June of 1961, as assistant to the project manager for the Space Electric Rocket Test (SERT) program. He then served as a First Lieutenant in the U. S. Army Signal Corps, responsible for defense communications in the New York-Philadelphia corridor. In 1965, he was awarded the Army Commendation Medal. He joined COMSAT Corporation in August 1965, where he worked on digital satellite telecommunications systems design. In 1966, he and a team of four others developed and patented Time Division Multiple Access (TDMA), a technique still used worldwide for satellite communications and wireless telephony in both cellular and personal communications services. From 1971 through 1983, Mr. Gabbard was a founder, board member, and president of Digital Communications Corporations (now Hughes Network Systems), and an executive officer of M/A-Com, Inc., a manufacturer of telecommunications equipment and components. From 1983 until 1990, he served as Chairman of the Board and Chief Executive Officer of Telecom* USA , and in various executive positions of its predecessor, SouthernNet, Inc. Under his leadership, Telecom*USA became the fourth largest US-based long distance company services provider before its acquisition by MCI Communications Corporation. Mr. Gabbard was named Executive Vice President and Chief Financial Office for MCI. He held that position from1990 until his retirement in 1993. 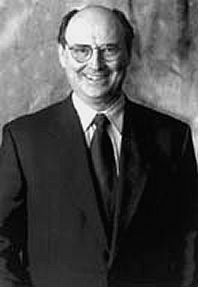 He served as an advisor to executives of the Walt Disney Company from 1994 through 1996. Mr. Gabbard was also an advisor to Nippon Electric Company and Hughes Network Systems. He is Chairman of ClearSource, Inc., Austin, Texas, a provider of cable television and other telecommunications services, and Chairman of Wireless One of North Carolina, LLC, a wireless cable television services provider. Mr. Gabbard is a director of COLT Telecom, a pan European telecommunications company headquartered in London, England. He is also a director of Knology, Inc., a broadband telecommunications company providing cable television, telephony and high speed Internet access to customers in eight cities in the Southeast. Mr. Gabbard is a special limited partner in Ballast Point Ventures based in Tampa, Florida. Additionally, he is a director of several other development-stage high technology companies. Mr. Gabbard holds numerous patents in the field of digital communications, and has authored several published articles in trade and professional publications. He is a Fellow of the Institute of Electrical and Electronics Engineers (IEEE), and a member of the Society of International Business Fellows.